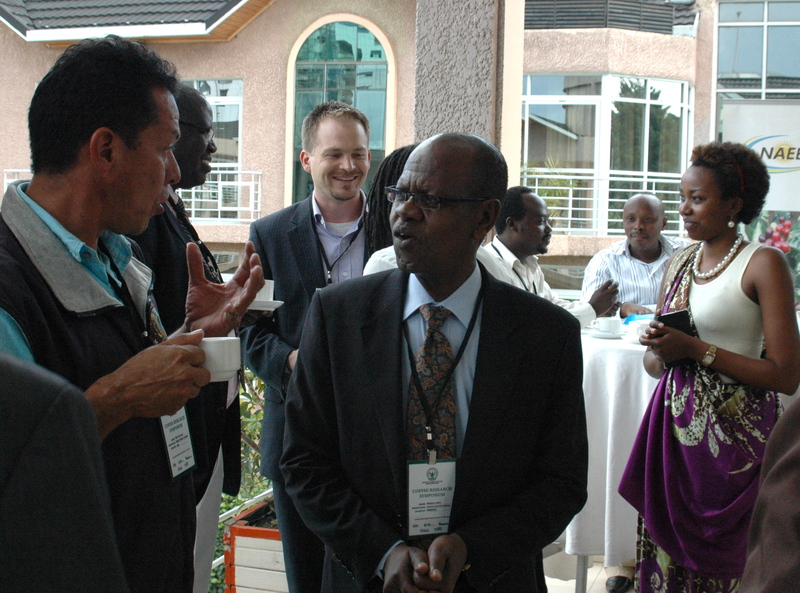 “Your presence here is a vote of confidence in Rwandan coffee,” George Kayonga, head of Rwanda’s National Agricultural Export Development Board (NAEB), told Coffee Research Symposium attendees on March 17. A vote of confidence, in this case, as over 150 representatives from academia, private sector, government, and international organizations assembled in Kigali to discuss a challenge threatening to reduce confidence in Rwanda’s high quality coffee. The potato taste defect—thought to be caused by an insect pest called the “antestia bug”—causes otherwise exceptional East African specialty coffee to exhibit a potato-like taste, which impacts the industry’s revenue potential. Rwanda’s Ministry of Agriculture and Animal Resources, NAEB, University of Rwanda (UR), and others organized the Symposium to gather a global network of experts to share knowledge on the state of science on this taste defect. Beyond discussing new research, the gathering sought to identify practical solutions to the challenge. Although Symposium participants underscored the importance of continuing research, because the antestia bug destroys up to 38% of coffee apart from damage caused by potato taste, the direct effects of potato taste on the coffee market demands practical solutions. Therese Karitanyi of AgroPharm Africa, for example, spoke about pyrethrum, a locally grown, organic pesticide that kills antestia bugs. David Mills, CEO of UK firm Weather Safe Ltd., presented new satellite technology that helps governments, firms, and farmers make decisions that could mitigate potato taste. He also opened an invitation to those interested in implementing this technology in Rwanda: “We need people with an affinity for this country,” he said, “the technology is there, but we need people to implement it.” Susie Spindler, head of the Alliance for Coffee Excellence, underlined the need for practical solutions when she announced a Challenge Prize of up to $20,000. This prize would fund up to three pilot projects aimed at testing techniques or technologies to detect or mitigate the potato taste defect. 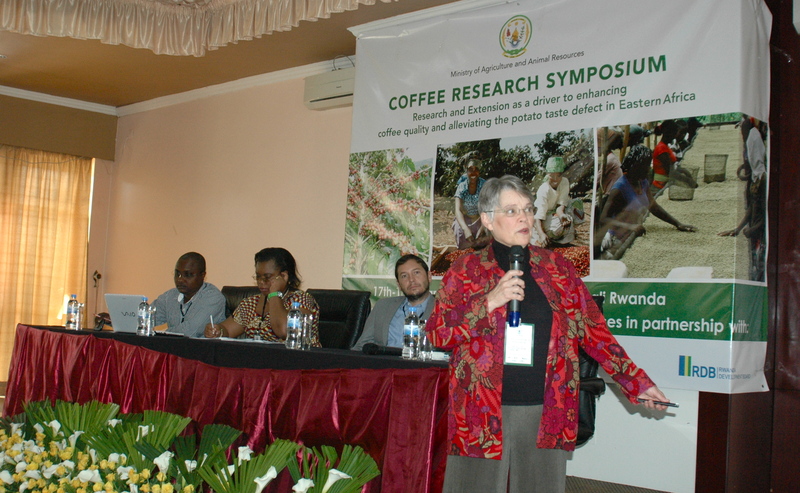 Strong private sector support for the Challenge Prize, she said, evidenced its commitment to Rwandan coffee.